If you have never heard of pre-shampoo hair oil before, you’re excused, because neither have we. 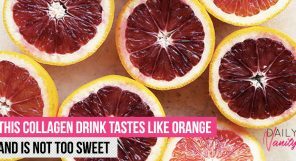 That’s why we were really, really intrigued when we first got wind of this brand new hair care product from L’Oréal Paris Botanicals Fresh Care. Applying a hair oil… before you shampoo? 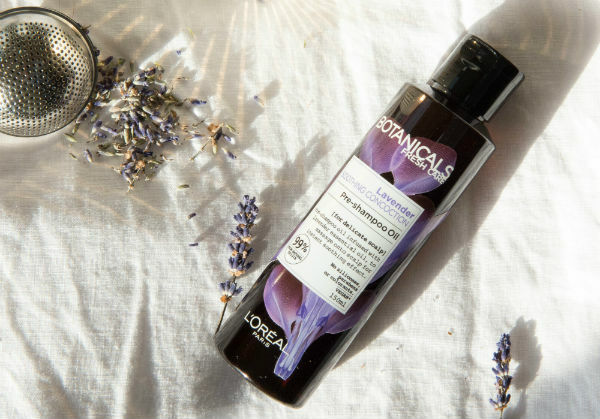 The Botanicals Fresh Care Pre-shampoo Oil seems to defy every hair care concept that we thought we knew, so we had to find out more. 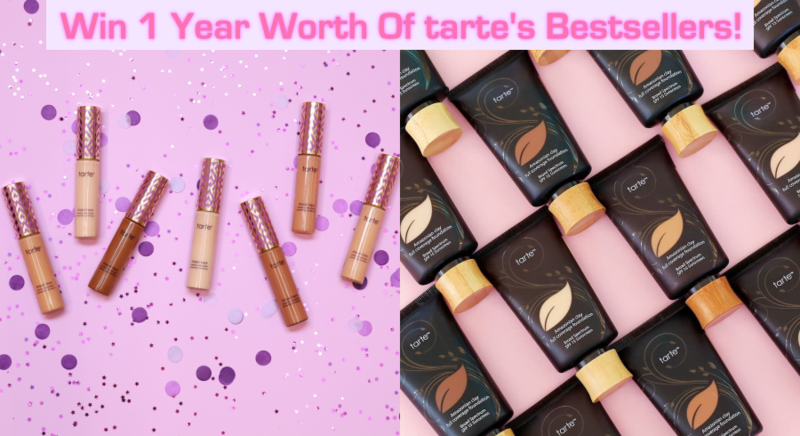 I got the whole range for myself and tried it out for a whole week. As I have drier hair ends, I’m no stranger to hair oils, but I always apply them on the ends of my hair as I’ve been recommended to do all my life. 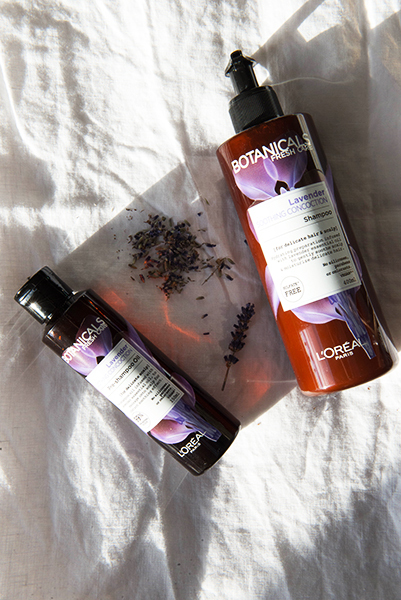 You can imagine how unusual it felt to be applying the Botanicals Fresh Care Lavender Pre-shampoo Oil liberally all over on my scalp. I don’t really use DIY home scalp treatments on a regular basis, so I was a little nervous before starting. Luckily, the instructions were really simple and I had no problems using it the first time. Because the oil was also aromatic and calming, it felt like a mini spa session I could enjoy in the comfort of my own home to really unwind before I took my shower. I left it on for about 15 minutes before I got into the shower. 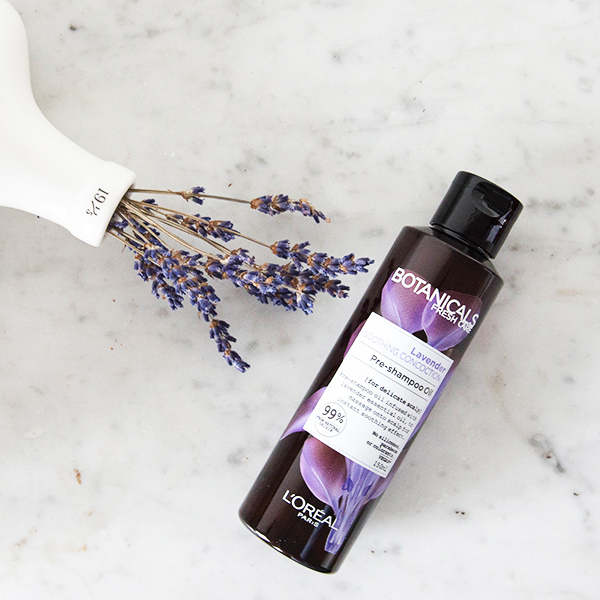 After rinsing my hair, I used the Botanicals Fresh Care Lavender Shampoo. The brand says it’s possible to even shampoo your hair two times in a row because it’s that gentle on your scalp and wouldn’t dry it out excessively. Once was enough for me to feel that my scalp was sufficiently clean, however! Since the pre-shampoo oil was nourishing enough for my hair, I skipped the conditioner. But on other days, I used the Botanicals Fresh Care Lavender Conditioner and was quite surprised by the texture. The conditioner came out almost like a semi-solid cream rather than the slightly liquidy texture that most conditioners have. It was, however, very easy to apply, and smelled heavenly. In the entire week I tried the range out, I only used the Mask once when I felt like my hair was particularly dry from a whole day at work under the air conditioner. Although the Botanicals Fresh Care Lavender Conditioner works well enough on a daily basis, I could really tell the difference it made to my hair when I used the Mask. The entire range was a dream to use. I’m usually pretty stressed and tired out after a long day at work, so the Lavender scent really worked wonders in helping me calm down and relax even more in my shower. I also felt a difference to my hair in terms of hydration. My colleagues told me my hair looked pretty good, which was a big thing for someone like me who remembers being teased for my frizzy hair back in school! If you’ve ever used hair oils before, you’d know that they work by adding a film over your hair that hydrates the hair strand and retains moisture. You’d probably also know that most hair oils are not meant to be used on the scalp. This is where the Botanicals Fresh Care Pre-shampoo Oil changes up the game. 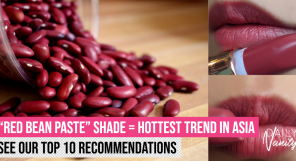 They are meant to be applied to your scalp. So what’s the whole point of applying a hair oil to your scalp only for your shampoo to wash it away? Ingredients in shampoos that clean your scalp effectively can also be very drying for the skin, and can strip the hair of its natural oils. A drier scalp may lead to itching, redness, general irritation, and sensitivity. The Botanicals Fresh Care Pre-shampoo Oil soaks in to the scalp and acts as a scalp treatment which can soothe sensitive scalp, and also retain moisture on the scalp and hair strands even through subsequent shampooing. Having a healthy, nourished, and hydrated scalp is key to having luxurious, smooth hair! First, warm up the product in your hands. Next, apply it onto scalp and hair while they are dry. Then, put your hair into a bun, and leave it on for five to 15 minutes. Shampoo off – and you’re good to go! 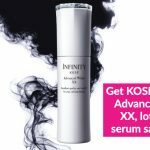 This product is more targeted at treating sensitive scalp, so just like skincare products, remember to give it at least four weeks to see visible improvements. However, your hair will be immediately hydrated upon your first use – something we really appreciate! Take note that the pre-shampoo oil is not recommended for those with oily or dandruff-prone scalps. If you suffer from these conditions, skip the pre-shampoo oil and go for the rest of the Botanicals Fresh Care Lavender range. The rest of the products in the range can still provide you with much-needed soothing and deep hydration for your crowning glory. When it comes to natural ingredients in hair care products, you’d probably first think of coconut oil and argan oil – why is Lavender Essential Oil used here? 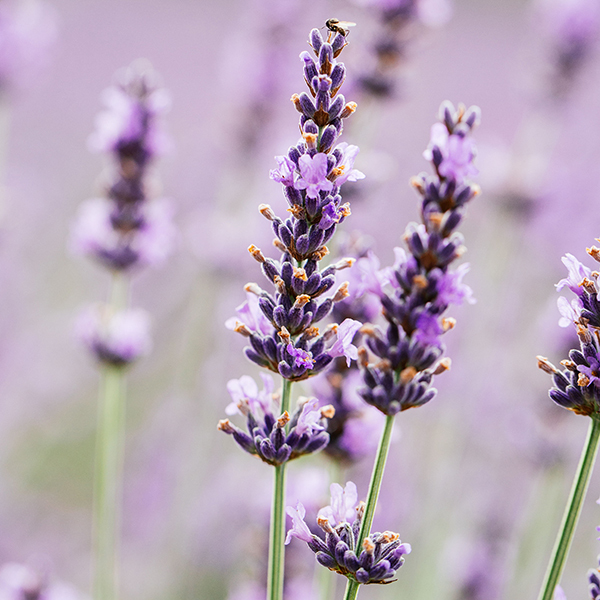 Lavender Oil is actually known for its calming and healing properties. 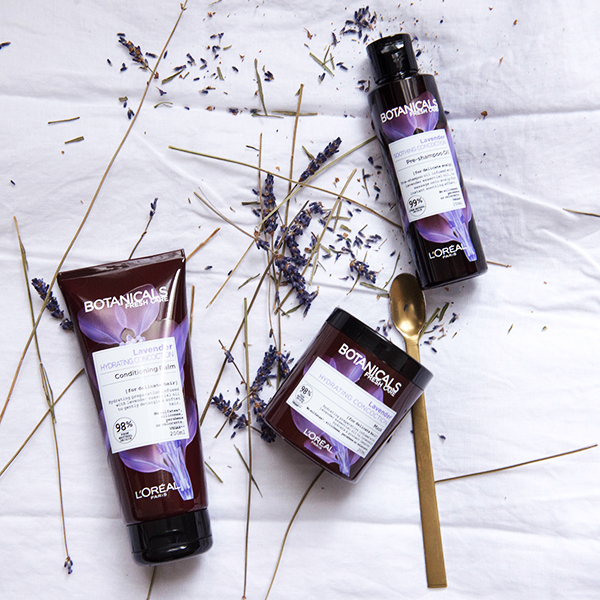 Since the whole idea of the Botanicals Fresh Care Lavender range is to soothe and heal sensitive scalp, Lavender Oil was by far the best choice to include as a star ingredient. In fact, Lavender Oil has long been used by phytotherapists for its role in healing even the most sensitive scalps. 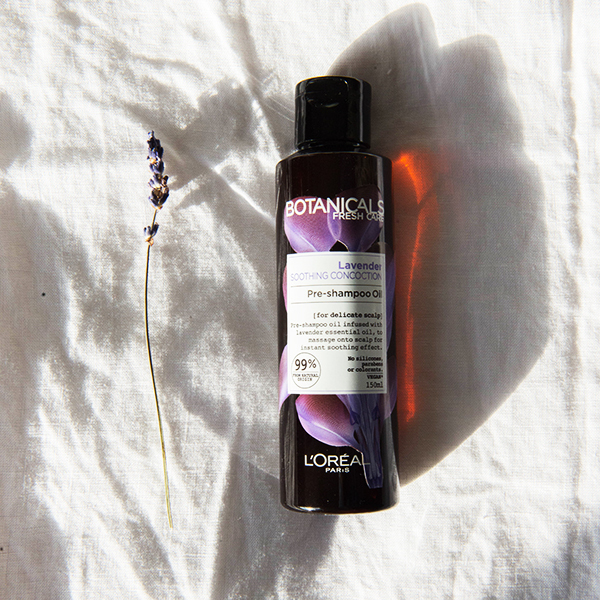 Botanicals Fresh Care Lavender Mask: for the days when you need some deep hydration for your hair ends, and when you want to pamper yourself with a luxurious aroma-therapeutic experience. 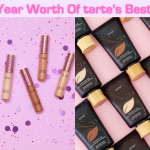 Why should you use the whole range together? All four products in the range actually complement one another so you really get the maximum soothing and hydrating effects possible. Botanicals Fresh Care prides itself on using only quality ingredients in their products. That is why Organic Lavender Essential Oil that stars in the Lavender range is sourced exclusively from France. Inspired by nature, Botanicals Fresh Care also offers other ranges that feature different plant-based ingredients for different hair types, catering to dry, frizzy, weak, and coloured hair! 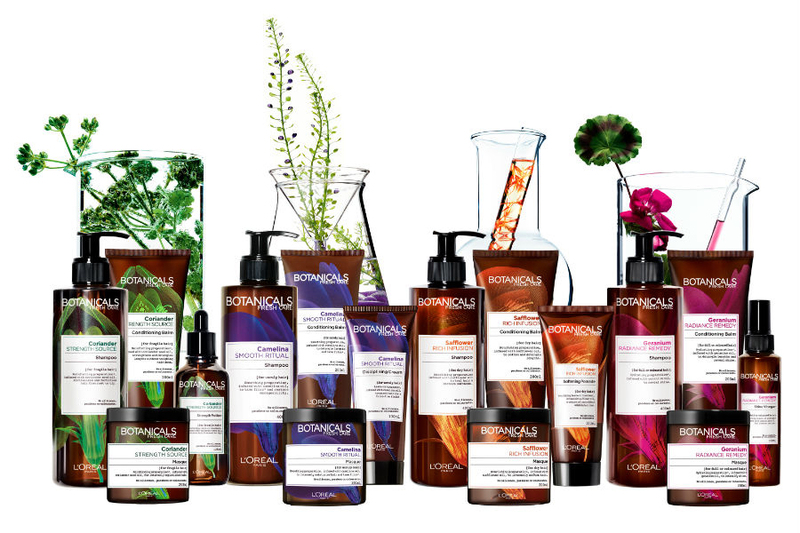 They are all formulated with no sulfates*, no silicones, no parabens and no colourants. The products are all made in Europe and its packaging is made from 100% recycled material! Botanicals Fresh Care is a brand that cares not just for your hair, but also for its environment. We’ve already talked about how impressed we were by the new ranges when they first launched, and we’re excited for the latest Lavender line. * Only applicable to Botanicals Fresh Care Lavender Shampoo, Conditioner, and Mask. 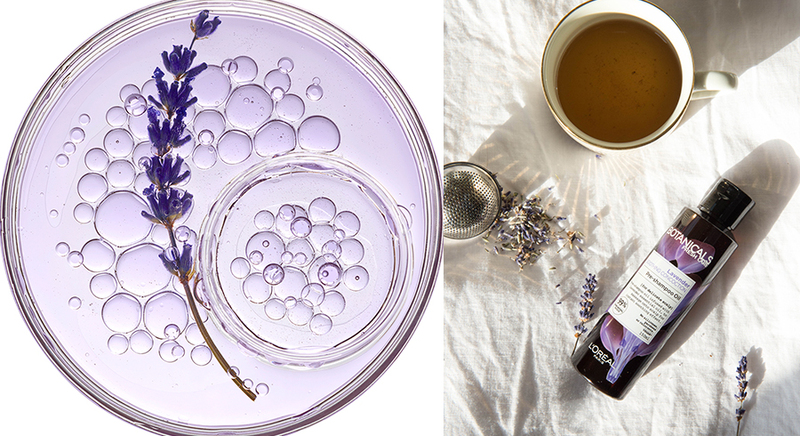 Try the new Lavender range out for yourself! 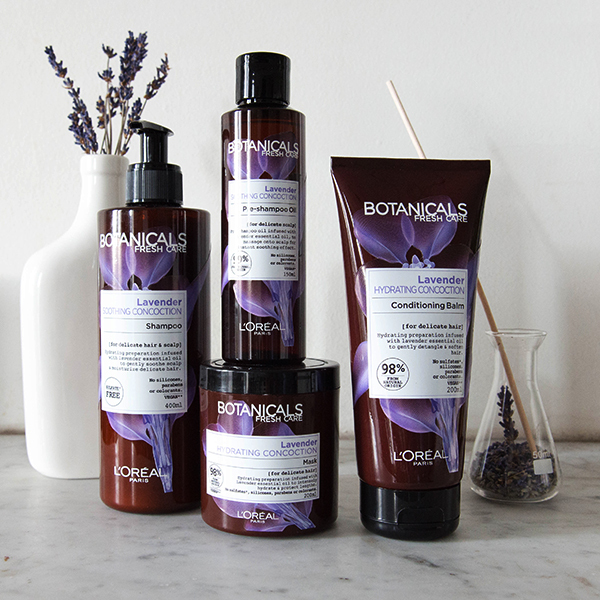 Comment and let us know on Facebook why you would like to try out this new range, tag #LorealParisSG and #BotanicalsFreshCare in your comment, and you might be one of the lucky three people winning the Botanicals Fresh Care Lavender range gift set consisting of shampoo, conditioner and pre-shampoo oil for yourself! 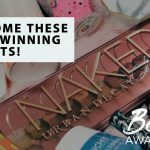 We're giving away three gift sets! Click here to comment on our Facebook post! This giveaway will end on 6 April 2018, so be sure to act fast if you want to win! 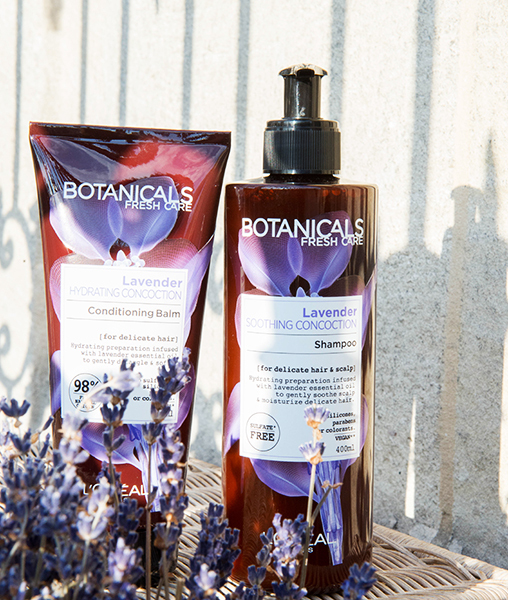 The Botanicals Fresh Care Lavender range is available at all leading drugstores and super/hyper markets. You can also get it online at Lazada. 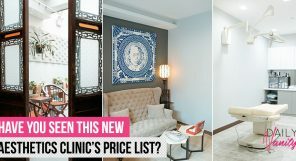 11 FREE things you can get from beauty boutiques and counters in Singapore! 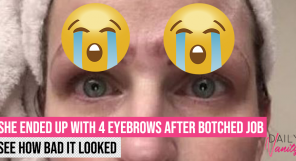 This exclusive content can be yours for FREE when you sign up for the Daily Vanity newsletter, where we share even more useful beauty tips! 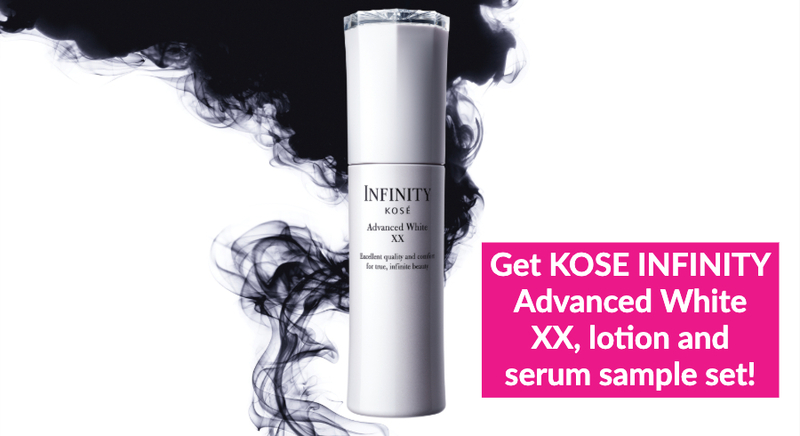 FREE KOSÉ samples and exclusive Daily Vanity perks! Be the first to know about exclusive perks that help you look and feel good. Here’s how you can (easily) win a 2D1N MBS hotel staycay worth $680! 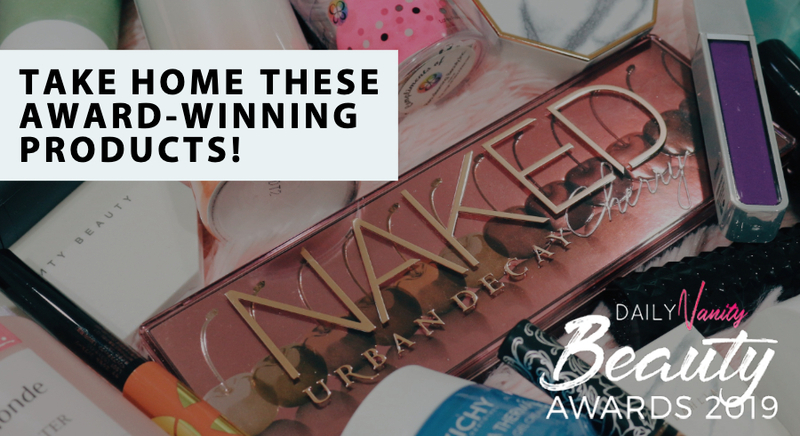 Award-winning beauty products worth $2,000 up for grabs! 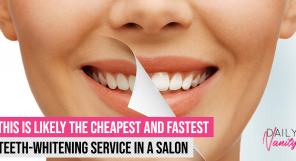 Take home FREE beauty product(s) for every service redeemed! 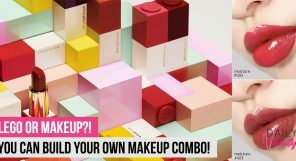 This looks like Lego but is actually products from a new Korean makeup brand!